There is no way of writing this without seeming unduly boastful but, look, let me tell you about the day I dismissed Inzamam-ul-Haq. In front of 15,000 spectators. In Waziristan. During a game broadcast live on Pakistani national television. For reasons we will come to shortly, the scorebook does not confirm this wondrously improbable moment but those of us who were present know it happened, even if only for a sweet, incredulous second. But I fear I am getting ahead of myself. There is no easy way for westerners to reach Miramshah, the administrative capital of North Waziristan. It lies in the heart of the Federally Administered Tribal Areas that, though formally part of Pakistan, have always enjoyed – or, perhaps, endured – a unique status. Islamabad’s authority has only rarely been recognised here. It has, instead, been a hotbed of insurrection and, since 9/11, been a district on the frontline of both the Pakistani army’s counter-Taliban operations and the United States’ officially unofficial drone war inside Pakistan. Pakistan is a land in which many things seem all but impossible but where, once someone with sufficient authority has decided something should happen, anything can be done. And at a moment’s notice too. When that person with authority is General Qamar Bajwa, head of the Pakistan army, things happen. If he wants to organise a cricket match between a batch of bumbling British amateurs and a Pakistan All-Stars XI then so be it. There is little advantage in pointing out the inherent absurdity of pitting a group of middle-aged duffers against an XI largely made up of former – and current, by god – Pakistani Test cricketers. We were, apart from anything else, older than the opposition. They had age on their side as well as ability. 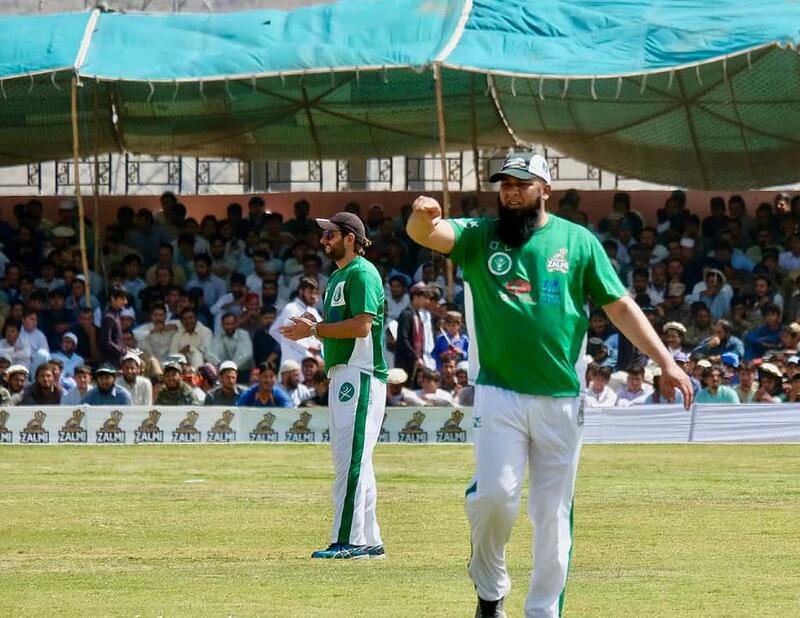 The fixture, however, had been organised to coincide with the United Nations’ International Peace Day and we would be contesting – to use the term in its loosest possible sense – the “Peace Cup” against an XI captained by Inzamam and including Shahid Afridi, Umar Gul, Kamran Akmal, Junaid Khan and Yasir Hameed. The hosts were strong – and kind – enough to lend us Mushtaq Ahmed without noticeably weakening their side. 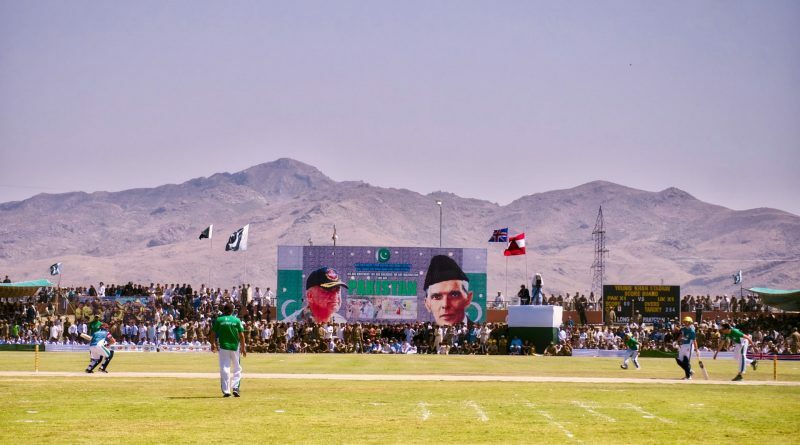 We were not the kind of fools who couldn’t recognise that we were, in effect, the pawns in a public relations exercise run by the Pakistani army, determined to show that something akin to normal life is returning to Waziristan; we were also not the kind of fools to turn down this kind of cricketing opportunity. During the long years of warfare, much of the local population fled Waziristan, seeking security elsewhere in Pakistan. The army now boasts that more than 70% of tribespeople have returned, though independent assessments suggest the true figure is likely to be somewhat lower than that. 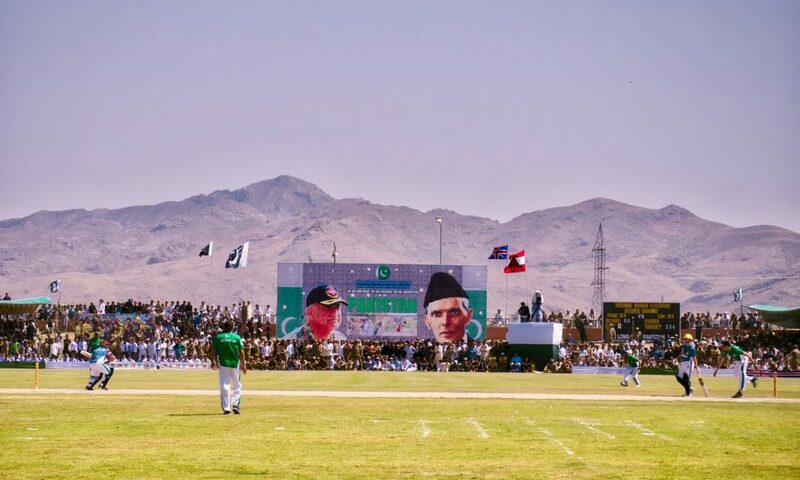 Nevertheless, what better way of demonstrating that all things are possible, even in Waziristan, than the ritual sacrifice of touring cricketers? Pakistan, after all, has never been an easy place to win, no matter the level of cricket you happen to play. And we played a very low level of cricket. We were a team of journalists, human rights lawyers, restauranteurs, students and civil servants. Some of us had played to a decent school level; some of us never even reached that modest standard. Throughout our tour of Pakistan we were overestimated by opponents who struggled to understand how, or why, you would spend a fortnight playing 12 games of cricket in Pakistan if you were not actually any good at playing cricket. Team-talks amounted to the exhortation to “play as though you are a better cricketer than you are”, a maxim more often breached than honoured. But we were Peter Oborne’s Wounded Tigers – taking our name from the skipper’s acclaimed history of Pakistani cricket – and we knew what we were here for. It sounds grandiose to say we were in Pakistan to show that Pakistan is not alone and that some people outside Pakistan think it is important to send the message that Pakistan is still a country where it is possible to tour. Nevertheless, since we obviously weren’t there to win games, our trip had to have some other purpose and we were shameless enough to grasp the most noble – if also the most awkwardly self-aggrandising – alternative available. As was customary – indeed essential – Oborne won the toss in Miramshah and, with a view to prolonging the match, prudently elected to field. Thousands of tribesmen had been bussed in from all across the surrounding area; in the pavilion tribal chiefs rubbed shoulders with army officers and invited guests. Fancy pyjama uniforms, emblazoned with the Union Flag, had been provided for us. So had mascots, small boys in their Sunday finest escorting us on to the immaculately groomed turf, clutching us by the hand and waving small Union Flags prior to the introductions and, of course, the national anthems. I can assure you that few things make you feel quite such an imposter as singing God Save the Queen in front of thousands of spectators. It took an effort not to giggle. Apart from Mushtaq, the All-Stars had lent us Shahid Afridi’s cousin Nasir. Mushtaq entered into the Wounded Tiger spirit immediately, opening his spell with two wides during an over which went for 25. On other days this might have been dispiriting; on this occasion it seemed entirely in keeping with the faintly preposterous nature of the entire proceedings. Paradoxically, bowling to Test cricketers is easier than you might think. Your expectations are lowered to the extent that putting the ball on the cut strip seems like a minor victory in itself. Unless you prize your dignity, you have little to lose and most of us learnt the value of jettisoning our dignity years ago. The crowd, demonstrating the hospitality for which Pakistan is justly famous, were generously willing to indulge our hopelessness. Normalisation is a word you hear often in Pakistan these days. Wracked by war and riven by division, the politics of Pakistan can seem an impenetrable thicket into which only the boldest foreigner dares venture. But, for all its security and political challenges, cricket can play a part in this needed normalisation of Pakistani politics and society. It is not enough on its own, but it helps. Pakistani cricket is coming in from the cold, but only slowly. When we had left Lahore to head into the northern areas, we were replaced – I use the term loosely – by an International XI captained by Faf du Plessis, there to play three Twenty20 matches against Pakistan. All across the city, billboards and posters advertised the International XI’s arrival for three fixtures, which seemed and felt more meaningful than the majority of officially sanctioned, rankings-contributing international fixtures. But they were just a start, a further step along the road to Pakistan’s full rehabilitation. With the exception of a brace of games played by Zimbabwe in 2015, no international cricket had been played in Pakistan since 2009 when, as we all remember only too well, Sri Lanka’s team bus was attacked by terrorists. Cricket people are understandably prone to overstating cricket’s importance but it was impossible to avoid the thought that the 2009 atrocity was designed as an attack on one of the pitifully few things that unites Pakistan’s diverse, often quarrelsome society. Cricket is not enough to sustain the idea of Pakistan but it is difficult, and perhaps impossible, to imagine the idea of Pakistan without cricket. Strange things happen in Pakistan. We played 12 matches in Lahore, Sarghoda, Kashmir and in the Chitral district of the old Northwest Frontier province. On one occasion the opposition were, ludicrously, 65 for 4 after four overs. Two days before we flew to Miramshah, we contrived to concede 393 runs in just 30 overs. As confidence-boosting warm-ups go, this seemed sub-optimal preparation for our encounter with the Pakistan All-Stars. For reasons that made more sense at the time than they do in retrospect, I had decided to abandon the orthodox slow-left arm that has, it must be said, generally proved thoroughly unsuccessful in the lower divisions of the East of Scotland league. I switched, instead, to bowling Chinamen for the duration of our tour of Pakistan. If Johnny Wardle could bowl wrist spin overseas and orthodox in Blighty then so could I. In any case, since run rates were never likely to prove a serious issue you might as well be hung for a sheep as a lamb. My first delivery to Inzamam did not exactly threaten him but he was kind enough not to clobber it out of the ground. The second was a devilish piece of cunning, slanted across him and skidding just enough to – there is no other or modest way of putting it – beat him. Our wicket-keeper Nick Taylor, an Oxford Blue and by some distance the most accomplished cricketer in the party, thought there was nothing to be lost by appealing. Sensing that such an opportunity might never occur again, I joined in raucously. Even so, it was with a sense of gawping amazement that I saw our umpire Ian Vaughan-Arbuckle – a former army officer who, among other distinctions, has umpired in the Over-50 World Cup – raise his finger. It is hard to convey the giddy astonishment of the moment. For a second, time seemed frozen: Inzamam ct Taylor b Massie. The next two deliveries were dispatched for six over deep midwicket. Glory comes in many guises, however, and this brief, shining second is liable to remain the highlight of an otherwise pedestrian cricketing life that cannot in any reasonable sense be considered a “career”. Six overs later I tossed the ball to Mushtaq, asking him to bowl the 19th and penultimate over of the All-Stars innings. Mushtaq wasn’t falling for that, however. “Oh no, you bowl. It is your match. You should bowl,” he said with a smile. He had bowled enough, he said, and, besides, his two overs had cost 40 runs. He had no intention of bowling to Afridi at this stage of the innings. So I did. I have watched what happened next many times on YouTube – one video of the game had been viewed more than 300,000 times before it was taken down – and it never gets any better. Time seemed paused once again, albeit in a terrible way. Afridi spanked the first, relatively respectable delivery over my head for four. Immediately, with what I took to be some uncanny sense of premonition, I thought: “At least he is not going to be Garry Sobers to my Malcolm Nash.” The second delivery went over midwicket, the third over extra cover. The fourth was a towering six over long on. And so was the fifth. Looking back, attempting to bowl some version of a flipper with my final delivery was bolder than the circumstances seemed to warrant. A wide, of course. I cannot say I looked forward to bowling the extra delivery but nor was I altogether surprised when Afridi skipped down the wicket and sent it rocketing over long off for another six. “Sorry,” he said, smiling, as we walked off an over later. “Not at all, my pleasure,” I replied. “Besides, this is what they came to see.” In that sense it was a very diplomatic over, giving the 15,000 spectators precisely what they most desired. It was, I consoled myself, the right thing to do; the very British thing to do. As spin goes, this was rather more effective than any delivery I sent down in Miramshah. But I’ll always have Inzamam. I’d like to think he knows it too. ← Do Women Want to be Oppressed?